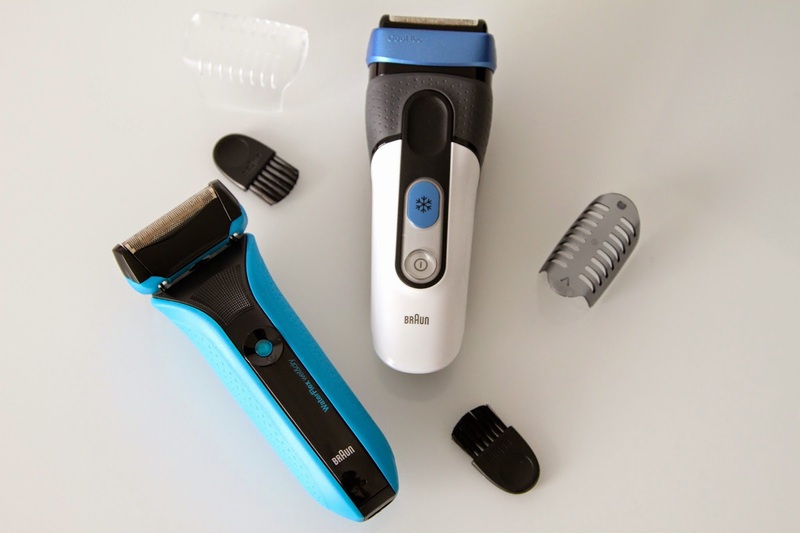 I was over the moon when Braun got in contact with me, as I’ve used their electric shavers since I was about 15 when my facial hair was growing a little too fast for me too maintain with a pair of scissors.. Yes, scissors. What was I thinking? I remember my first ever Braun shaver which my mum bought me and I never stopped using it, I remember wanting my facial hair to grow faster just so I could shave it off again feeling all mature and grown up… eeee those were the days. Now were in the 21st century and facial hair is more of a bane to my life, I have used many different brands and products to control my facial hair but after trying out these two beauties, they compare to no other that I have tried before. They are so so good! I can’t even express how comfortable these both were to use. I have really sensitive skin around my neck when it comes to shaving which has totally put me off wet shaving and even using electric shavers that cut close to the skin. I come out with a red rash and it is sore for days. However, nothing of the sort happened after using either of these two. Maybe it’s time I introduced you to the first out of the pair. Let’s start with the Braun Waterflex WF2s. 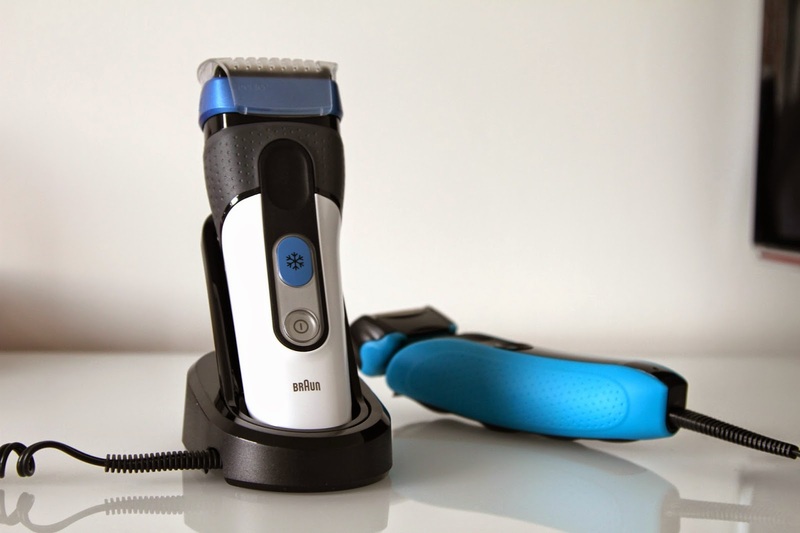 This fully waterproof, rechargeable electric shaver offers precision trimming with it’s 33 degree angle swivel head. It can be used either dry or wet and as mentioned before, fully waterproof for use in the shower. I tried this both with a wet shave using my every day shaving foam, and dry. This is perfect for the man who is in a rush. Just like me! I am always in a rush and shaving is the last thing on my list but the first thing I regret when I look in a mirror around University or work. Since this can be used dry, you can quickly clean up your stubble before you leave the house, or take more time with a comfortable wet shave in the shower on an evening. It also contains Brauns OptiBlade technology. Ergonomically sized holes cuts hair deeper with less irritation. Finally, it of course comes with a pop up precision trimmer to tidy up the tricky bits on the back. The one downside is this doesn’t come with a charging dock like my next little gem has. The second out of the two is the Braun CoolTec CT2s-w. Wow. This has to be by far my favourite out of the two. Not only having a very handy charging dock that can be easily dismantled for travel purposes, it has the most comfortable grip and weight I have ever felt. There’s a lot more inside this product than it shows on the outside too. It contains an electro ceramic cooling element that automatically cools and soothes the skin when shaving at the press of a button. This means there’s no need for messy gels and solutions to stop shaving rashes, its all built in one. No mess, no stress. Thats exactly what I like. Again, this is fully waterproof and can be used in the shower for a wet shave or dry, depending on how you feel. This contains another Braun technology called SensoBlade. SensoBlade reduces the drag when shaving giving the ultimate smooth shave, designed for people with sensitive skin (like myself). 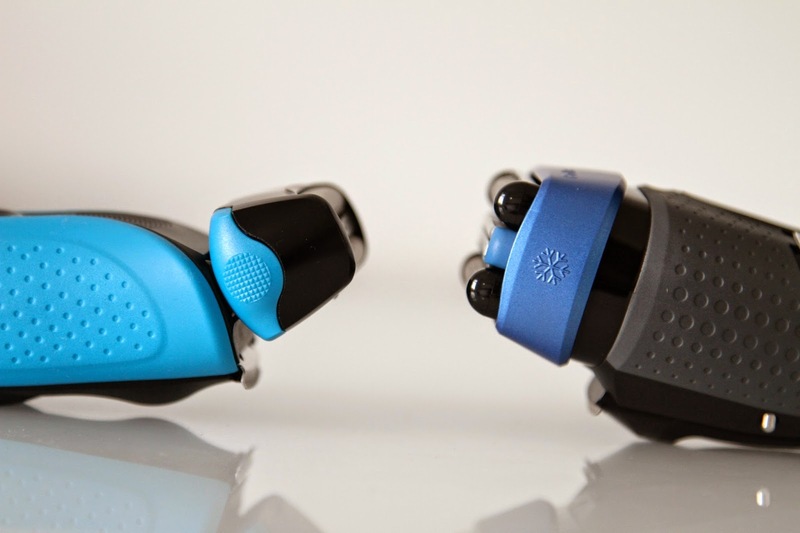 It does this by capturing hairs growing in different directions, with two independently moving cutting elements. Just love it! 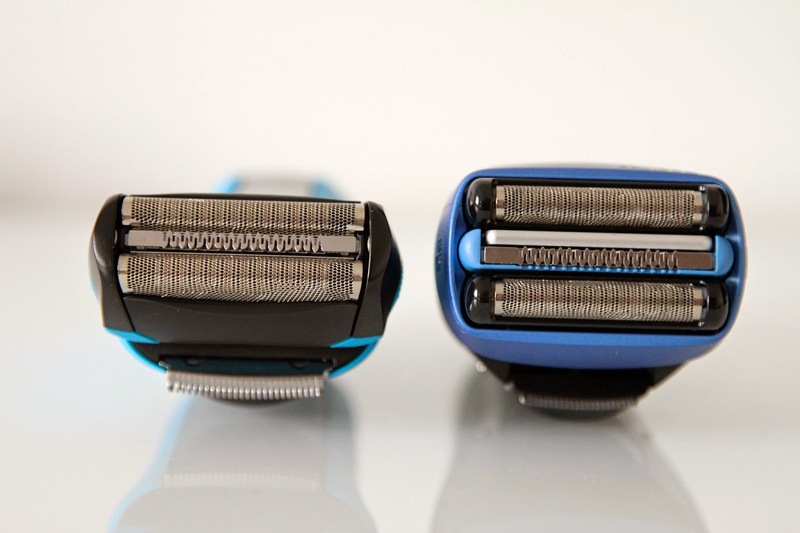 So there you go, two incredible electric shavers that I personally highly recommend to anyone looking for a new one. With both of them retailing around £120-130, this is an affordable, worth your money product for yourself or as a gift to any man. My favourite feature of them both is that they can be used dry or wet, bedroom or shower… providing convenience and efficiency to the working man. 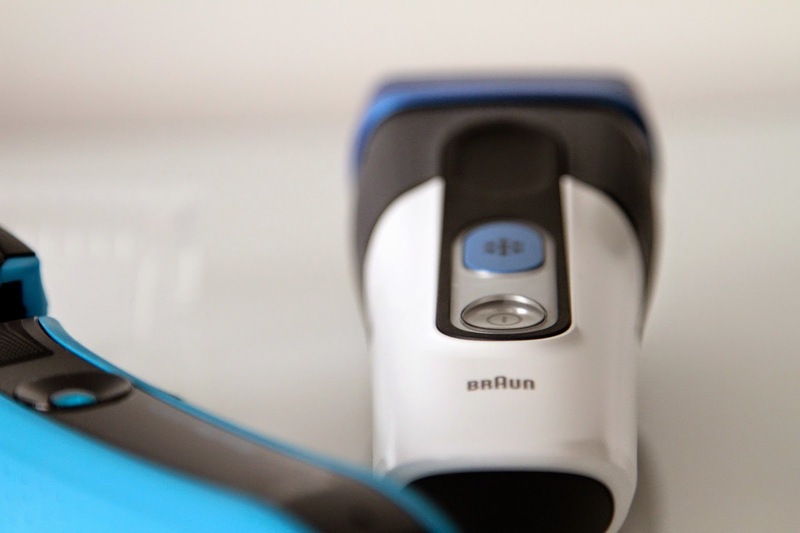 Have you ever used a Braun shaver? What did you think?